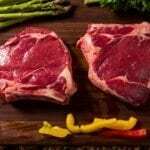 The aged Grass Fed Bone-In Ribeye Beef Steak is tender and one of the most flavorful cuts of grass fed beef. Bone-in Ribeye Steaks are a popular cut, both with the home chef and executive chefs at fine restaurants. The Grass Fed Ribeye steak comes from the Rib part of the animal. 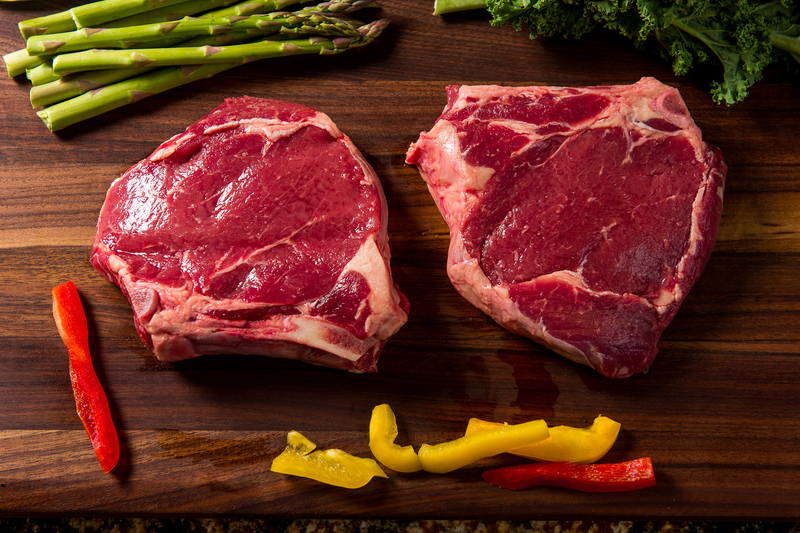 Larger cuts of bone-in Ribeyes are often called Delmonico or Cowboy cuts. 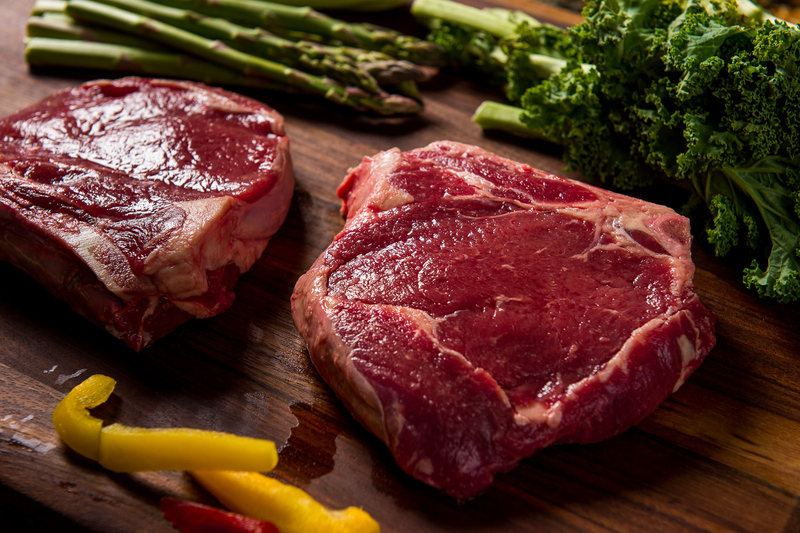 Order a delicious grass-fed bone-in Ribeye steak, delivered direct from family beef producer. Minimally processed. Our cowboy-inspired, thick cut bone-in Ribeye steaks (we call it Pete’s Choice) honor the Cowboys that work hard to produce great beef. Our family favorite! 100% Satisfaction Guarantee. How It Works: Build your own Custom Grass Fed Beef Box, or add a Grass Fed Ribeye Steak to one of our Grass Fed Beef Packages. Bone-in Ribeye steaks are available in 1 lb increments. Each Ribeye steak weighs approximately 16 oz (1 lb). 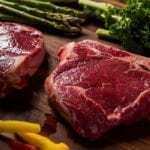 Family Raised Grass Fed Beef: Our family has been raising free range grass fed beef for over a decade in Kansas and Colorado. 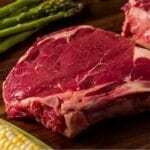 Now offering ‘small batch’ grass fed bone-in ribeye steaks, delivered direct to your door. 100% Natural Grass Fed Beef. Dry Aged 21 Days. Minimally Processed. No GMOs. No Additives. No BS. 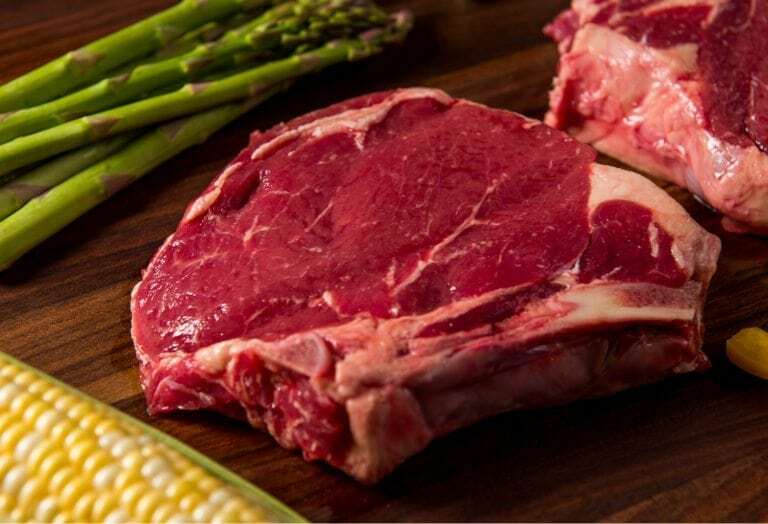 Grass Fed Bone-In Ribeye Steak, Direct from Producer – Buy premium aged grass fed beef bone-in Ribeye steaks, direct from the producer (that’s us).